Real estate investors or borrowers who haven’t previously used hard money loans often have many questions. Below are some frequent questions and simple answers. Please feel free to contact North Coast Financial with any questions regarding hard money loans. Hard money is a type of capital that exists outside of traditional lending systems such as banks, credit unions and other institutional lenders. Hard money funding comes from private investors and individuals. It is also known as private money. A hard money loan is short-term loan secured by real estate. Hard money loans are often used by real estate investors in need of fast and flexible financing. The purpose of the loan may be to purchase a property or refinance an existing owned property. Real estate investors typically refinance the property with long-term conventional financing or sell the property in order to pay off the hard money loan. A hard money lender (private money lender) is a mortgage broker who acts as the intermediary between the borrower and the investor. The hard money lender is responsible for bringing the parties together to agree on terms, completing the loan documentation and servicing the loan. In some cases the hard money lender is investor providing the capital to the borrower through a fund managed by the lender. Where do the funds for hard money loans come from? What is the difference between a hard money lender and a bank? Hard money lenders can approve and fund a loan at a much faster rate and with far less documentation than a bank. Approval and funding from a hard money lender can be completed within a week. A typical loan from a bank or conventional lender will often take at least 30 to 45 days for approval and funding. Hard money lenders are primarily focused on the value of the real estate that will serve as collateral for the loan and the loan to value ratio. Banks typically focus on the borrower’s credit rating, income and employment history. Hard money loans are intended to be short-term loans (1-4 years) while banks offer loan terms up to 30 years. Interest rates from banks will be lower compared to rates offered by hard money lenders. What type of property do hard money lenders lend on? Hard money lenders can lend on any type of property such as single family residential, multi-family residential, land, industrial, retail and office buildings. Many lenders have specific types of properties that they specialize in. Some hard money lenders can lend on owner-occupied residences but many will not due to the extra regulations required to fund these loans. Read more: What documents are necessary for a hard money loan? How does one find a hard money lender? Performing a simple web search for [your area] “hard money lenders” will produce a list of local lenders to begin contacting. Hard money lenders are often present at local Real estate investor meetings. Ask a trusted real estate agent, real estate investor, traditional mortgage broker or other professional in the real estate industry if they can recommend a hard money lender. After contacting a hard money lender, the prospective borrower must complete a hard money loan application with their personal financial information and information about the subject property. The hard money lender will quickly review this information and determine if the loan is feasible. The credit of the borrower is of some importance but the most important factor is the loan to value (LTV) on the property. 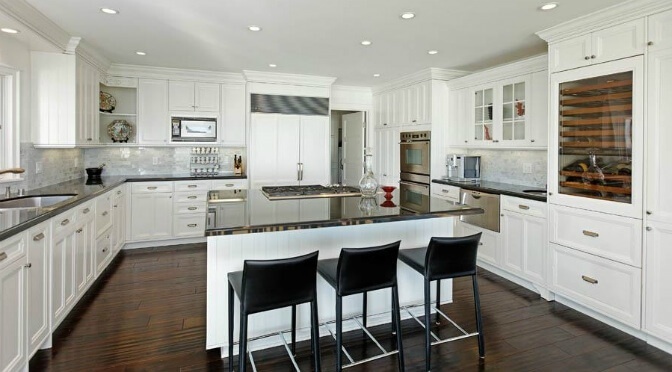 The subject property will then be appraised to ensure the property valuation is in the proper range. Once this is all complete the hard money lender will move forward in processing the loan and funding can be completed in a matter of days. Hard money lenders charge an interest rate and points on the amount borrowed. The interest rates can range from 8-12% and the points range from 2-4 depending on the specifics of the requested loan. Some hard money lenders may also charge extra fees such as a “processing fee”, “underwriting fee” or “document fee”. Other costs the borrowers will be responsible for are closing costs such as escrow,title insurance, notary and recording. What are typical hard money lender terms? A typical hard money term is generally 12 months, but longer terms of 3-4 years may be available depending on the specific situation and borrower. Will hard money lenders provide funding for a first trust deed and a second trust deed? All hard money lenders will provide funding for a first trust deed. Fewer hard money lenders will provide funding for a hard money 2nd mortgage due to the increased risk of being in a junior position. Hard money 2nd mortgages have a higher interest rate due to the increased risk for the lender. The maximum combined loan to value for a 2nd will be less than the maximum loan to value for a 1st loan. When a borrower defaults on a hard money loan they are in danger of being foreclosed upon and losing the property or properties which they used as collateral to secure the loan. Foreclosure is not the desired course of action for the lender as they would much rather prefer to be paid back in full for the balance of the loan without any additional hassle. When a borrower misses payments, the lender will reach out to assess the situation and see if a foreclosure can be avoided. The borrower will need to make payments, bring the loan current, pay off the loan or sell the property. If the borrower cannot rectify the situation, the lender will have a notice of default recorded and proceed with the foreclosure process to recover the funds. Will a hard money lender provide funding for owner occupied hard money loans? Most hard money lenders will not fund owner occupied hard money loans. Owner occupied loans are heavily regulated by the government and require additional paperwork and requirements. Federal regulations require borrowers to meet a debt to income ratio for all owner occupied loans. Borrowers are forced to prove their income with tax returns or W2s and disclose their existing debt payments. Because of the extra regulations, many hard money lenders choose not to fund owner occupied loans. Hard money lenders are regulated by their state Department of Real Estate. Hard money lenders must have a member of their company who holds a Real Estate Broker License. How long does it take to receive funding from a hard money lender? For a business purpose loan, the hard money loan can be funded within a week or two. If needed by the borrower, a reliable hard money lender can fund a loan in as few as 3-5 days. This is a huge benefit to using hard money loans as banks could take 30 days or longer to fund the same loan request if it were to fall within their stringent guidelines. Consumer purpose loans are subject to federal regulations which pushes the time to fund to 2-2.5 weeks. Why are hard money loan interest rates higher than loans from a bank? Banks hold money from their depositors and pay them an extremely low interest rate. The bank then loans this money out to borrowers at a higher but relatively low interest rate. Hard money lenders get funds from private investors (or fund the loans themselves) who expect a higher interest rate due to the increased risk taken on by the lender. 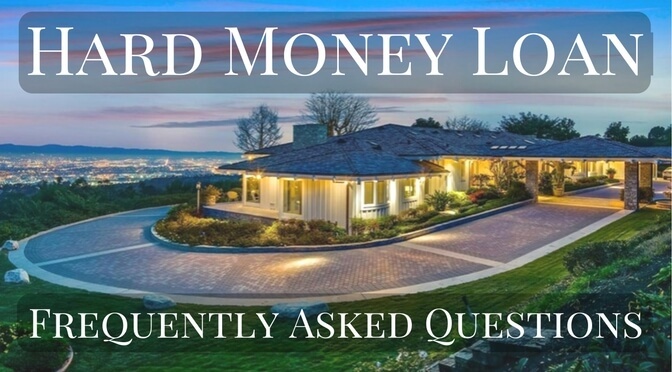 Besides the quality of service provided, hard money lenders differ by the types of lending criteria they adhere to as well as the costs they charge for the loan. How does one invest in hard money loans? Investors with money to invest may be able to work with a hard money lender to fund hard money loan requests from borrowers. This is known as trust deed investing. The hard money lender finds investment opportunities (loans) for the investor to fund. The investment is secured by the real estate put forth as collateral from the borrower. How do I receive a letter of interest (LOI) from a hard money lender? Also known as a pre approval letter, a letter of interest is given to a prospective borrower by a hard money lender once the borrower has been approved for financing. The letter can then be submitted with offers on properties. The borrower must first apply with the hard money lender and submit a loan application to be approved. If approved, the lender will then determine what amount of funds they are able to lend to the borrower and create the letter of interest. Can title of the property be held in an entity such as a trust, corporation or LLC for a hard money loan? Title may be held in an entity but in many situations an individual(s) will still need to personally guarantee the loan. Can I still get a hard money loan with bad credit? Hard money lenders are much less concerned with a borrower’s credit and FICO scores. Hard money lenders instead focus on the equity in the property being purchased or refinanced. Credit scores alone should not prevent a borrower with bad credit from obtaining a hard money loan. Do hard money loans have prepayment penalties? A hard money loan may or may not have a prepayment penalty depending on the hard money lender and the specific loan scenario. When inquiring about a hard money loan, ask the lender upfront about prepayment penalties.